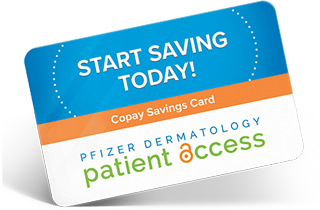 Download your Copay Savings Card to start saving on prescriptions, for eligible patients. First, let’s see if you may be eligible for the EUCRISA Copay Savings Card. 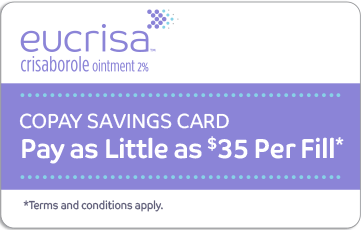 *EUCRISA can be used for people with eczema as young as 2 years old; however, to activate this copay card you must be at least 18 years old and a resident of the U.S. or Puerto Rico. Are you 18 years or older and a U.S. or Puerto Rico resident? *Do you purchase your prescription medicine through a federal or state prescription drug program, such as Medicare or Medicaid? Good news! You’re eligible for the card. We’ll just need some information to get you started.